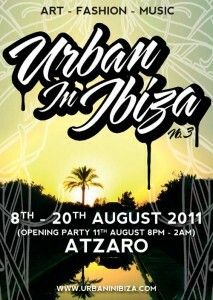 Even if i’m not, my work is going to “Urban In Ibiza” for the second time. Thanks to Tommy and he guys at West Bank Galery. “Urban art collectors, music lovers and the cosmopolitan crowd of Ibiza come together for the second instalment of URBAN IN IBIZA. Set in the grounds of Atzaro Hotel on the North side of the Island, the stable of URBAN IN IBIZA artists prepare to transform the idyllic location of 5 star Luxury into a 3 dimensional Graffiti fest with Live music and a fashion show.